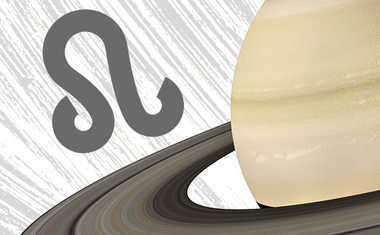 Saturn symbolizes boundaries, limits, and crystallization. As the last planet visible to the naked eye it represented the end of the solar system, the point where our version of reality ended. Saturn is about necessity, responsibility, and dealing with the rules of life, and, therefore, was considered to be the most difficult planet of all. 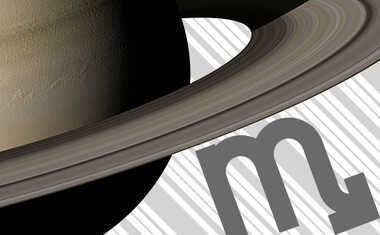 Esoterically, the problem with Saturn is that it is about manifesting in material form. This is the fall of spirit into matter and, by some accounts, connected with the notion of original sin. Our very existence as physical beings is a separation from the unity of the divine, from God and, thus, a sin. 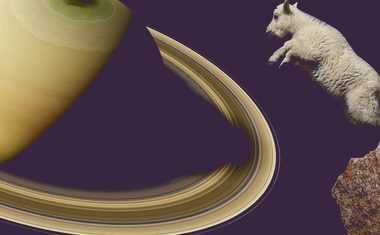 Notice the similarity between the words "Saturn" and "Satan," which is, essentially, a condemnation of the material world. 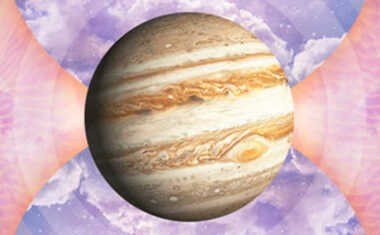 The planet Saturn rules over the zodiac sign Capricorn with a serious hand. Saturn brings out the traditional side of Capricorn, enhancing its practical nature to ensure that the Goat takes calculated steps toward success. Capricorn is a hard-working sign with a strong sense of responsibility and determination, which is what Saturn is all about! This regimented planet influences Capricorn’s disciplined and driven demeanor. Work hard and reap rewards! 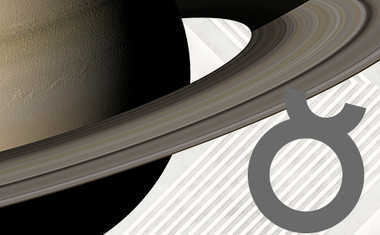 Saturn rules over the 10th House of Career, a house that exists in a powerful position at the top of the zodiac. This house is a representation of our career goals, ambitions, relationships to authority, and public status. 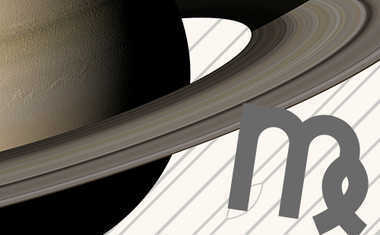 Saturn’s responsible influence reminds us to consider our skills and abilities, and put our best efforts forward to fulfill goals and find our place in the workforce. Setting the theological question of original sin aside, it’s helpful to recognize that Saturn serves as a model of discipline, structure and commitment. If the planet is under expressed, it’s difficult to turn ideas into reality, to stick to a plan or to defend oneself. 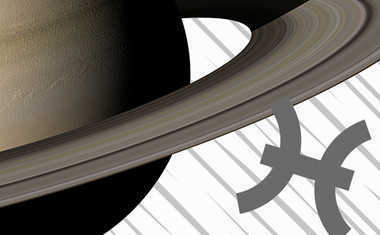 When Saturn is expressed too strongly we become rigid and fearful, even paralyzed. The point is to find a balance between frozen form and formlessness that, like a healthy body, is a flexible but ordered manner of being. 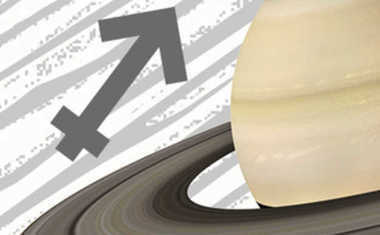 Saturn is very physical and we can recognize and influence its impact with our bodies. Notice if you’re stiff or if you stiffen up in certain kinds of situations. These reflect inflexible and less useful forms of Saturn. On the other hand, pay attention to where you slouch or angle your body away from others. These are underdeveloped manifestations of Saturn. There are, fortunately, relatively simple ways to learn how to express this essential planet’s energies effectively. One is to practice the Saturn walk. The key factors of it are to maintain good posture without being rigid, to move at a steady pace and, lastly, to have your heels make firm contact with the ground. 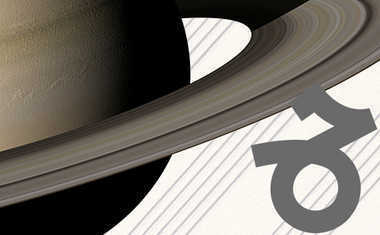 Other keys to tapping into the positive and formative forces of Saturn involve consistency and time management. If you want to accomplish something, setting a regular schedule and sticking to it aligns with Saturn’s structuring powers. The planet was called "Chronos" by the Greeks, signifying its role as a time keeper. Maintaining a steady rhythm of commitment creates a healthy habit that is more likely to produce desirable results than irregular and inconsistent engagement. Patience is another factor because Saturn works best when you’re in for the long haul. It’s a planet of maturity that rewards the experience gained by conscious use of time and energy. Another Saturn-related point is the difference between responsibility and guilt. The former is a healthy, mature expression of this planet. Responsibility is the ability to respond appropriately. Guilt, however, is an excessive or misplaced sense of duty, obligation or fault. Discerning the difference between the two is important to achieving goals and avoiding the soul sapping distractions of doubt and self-condemnation. We may be able to see the difference by viewing the matter in as impersonal manner as possible. Look at the mechanics of the situation and the actions that led to the issue. If you can find a way to remedy it, then take responsibility and fix it. If you cannot, you are absolved of guilt and can put Saturn’s energy where it can be used constructively. Of course, if this concerns a crucial issue, it will probably return and then, with steady commitment and feet solidly on the ground, you can address it more effectively. 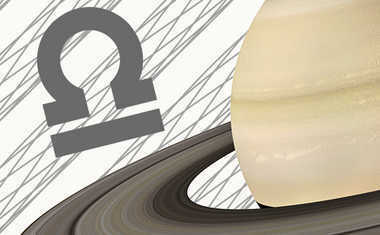 Not sure where Saturn is in your birth chart? Get a FREE Cosmic Profile here!